Hi there! Today I have something new for me, but not a new collection. 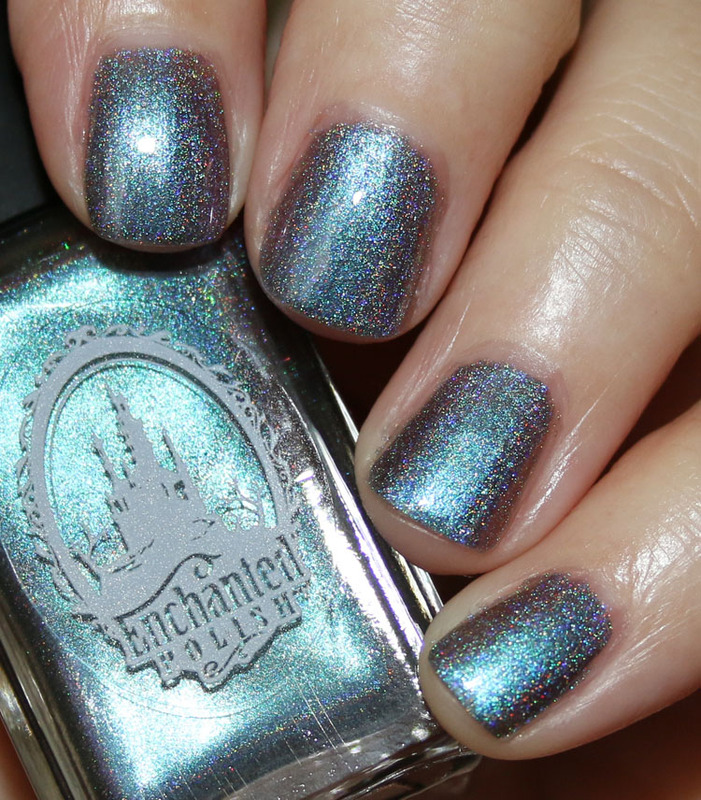 It’s the Enchanted Polish Time To Pretend Collection. 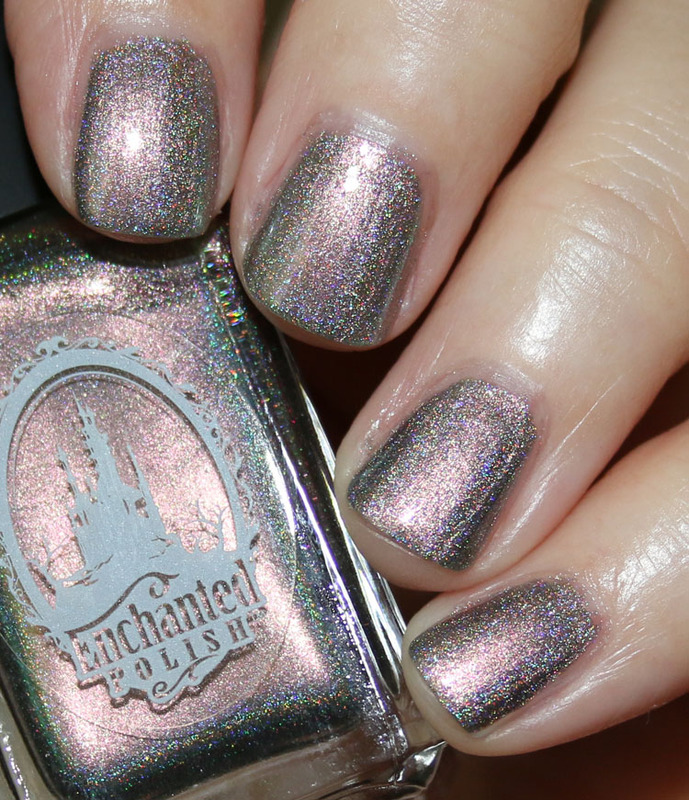 The Enchanted Polish Time To Pretend Collection features six nail shades that have an “Ultra Holo Duochrome” finish. This collection has been out for awhile and I have been drooling over their shades for actual years. I think I have just one shade from them which someone sent me once as a nice gesture and I believe it’s one of the other ones photographed here. The two first polishes in the above photos are not part of the Time To Pretend Collection, but I wanted to throw them into the photo anyway. The first is called Djinn In a Bottle and it’s a holographic top coat. The other is Dime Piece, which is swatched below. Dime Piece is a silver holographic which is very strong and beautiful. This is two coats. 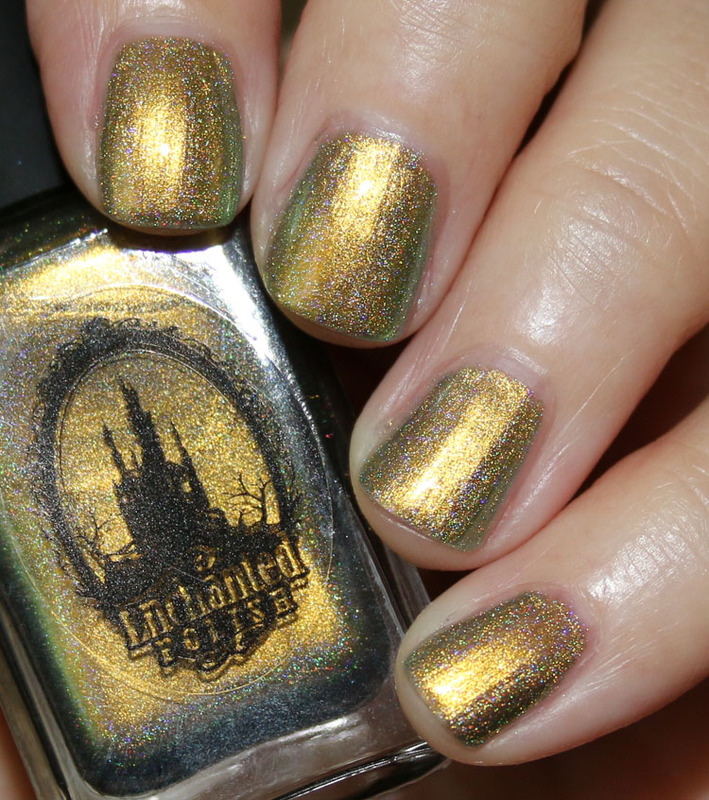 Electric Feel is an antique gold/green Ultra Holo Duochrome and is two coats. The Youth is a muted mauve/lilac/green Ultra Holo Duochrome and is two coats. Congratulations is a red/copper Ultra Holo Duochrome and is two coats. Time to Pretend is a purple/blue Ultra Holo Multichrome and is two coats. Future Reflections is a blue/pink/purple Ultra Holo Duochrome and is two coats. Kids is a green/blue Ultra Holo Duochrome and is two coats. So much pretty going on here! If you don’t have a really good silver holo yet, I strongly recommend Dime Piece as it’s very intense and lovely. The others in the Time To Pretend collection are super shifty and amazing. They change constantly! The holo shimmer in them is strong but not as in-your-face as Dime Piece since these are more shifty and sparkly. I love the formula, they all apply really perfectly with just two coats and I had zero problems with any of them. 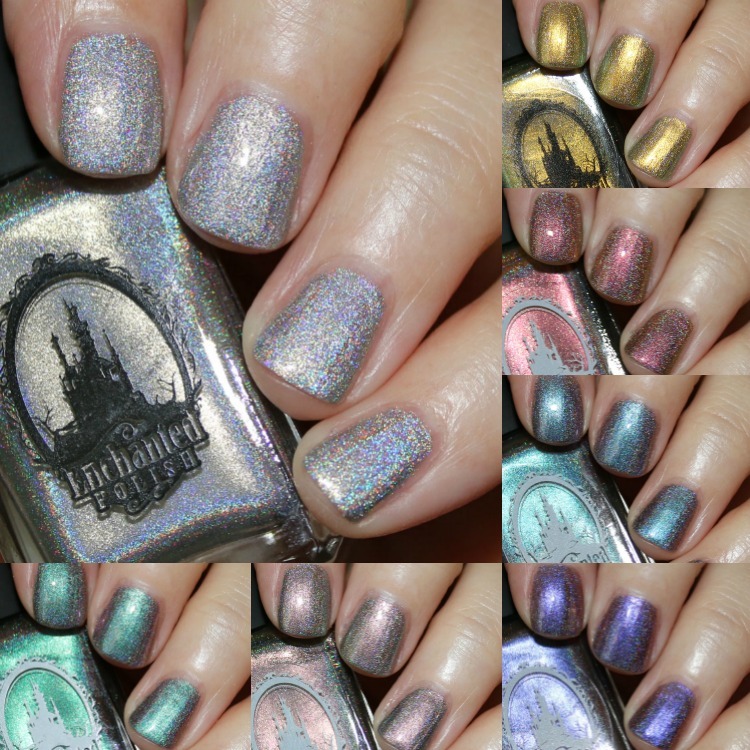 You can find the Enchanted Polish Time To Pretend Collection on their site now and they are $16.00 each. Which of these shades grabs your attention the most? Seriously, which one isn’t grabbing my attention! Must haves for me are Time To Pretend, Future Reflections and Kids! I have a real thing for shifty holos and these are perfection! These are all such stunning polishes and I love that 2 coats gets the job done. 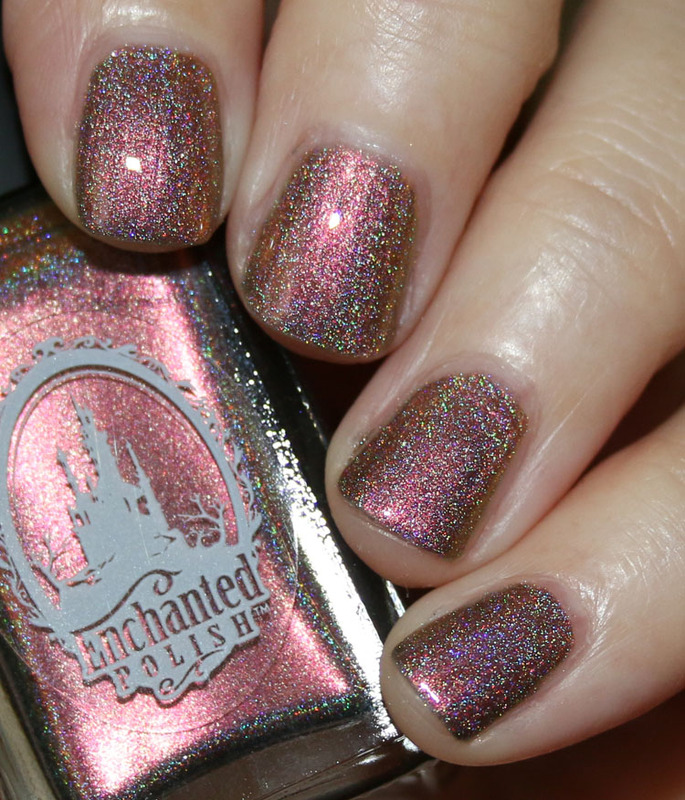 Hard to go wrong with Enchanted! 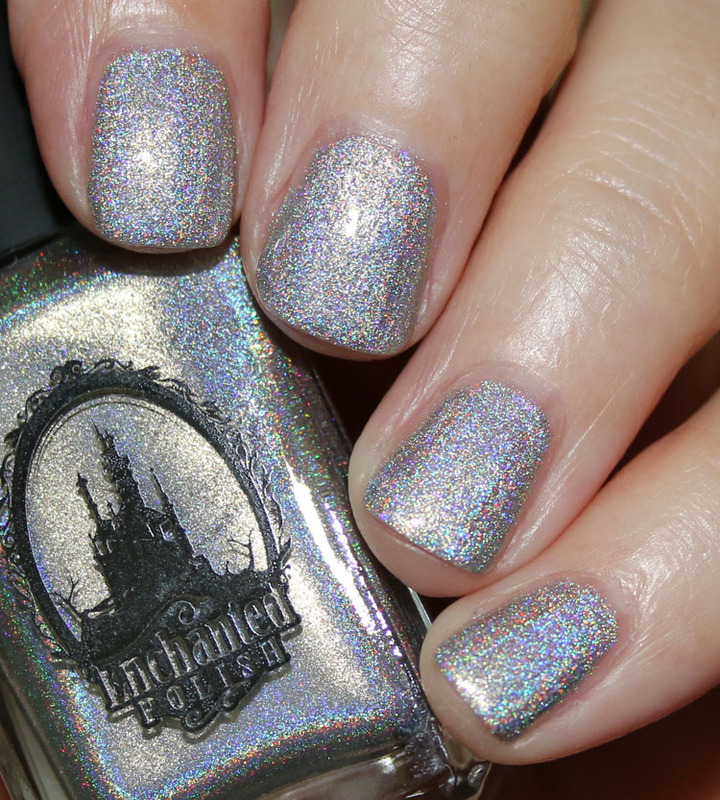 Wow, I didn’t know Enchanted Polish was still putting out new shades. I really like The Youth. Actually the post explains these are not new, but they are still putting out new shades. I love Congraulations and Time to Pretend. 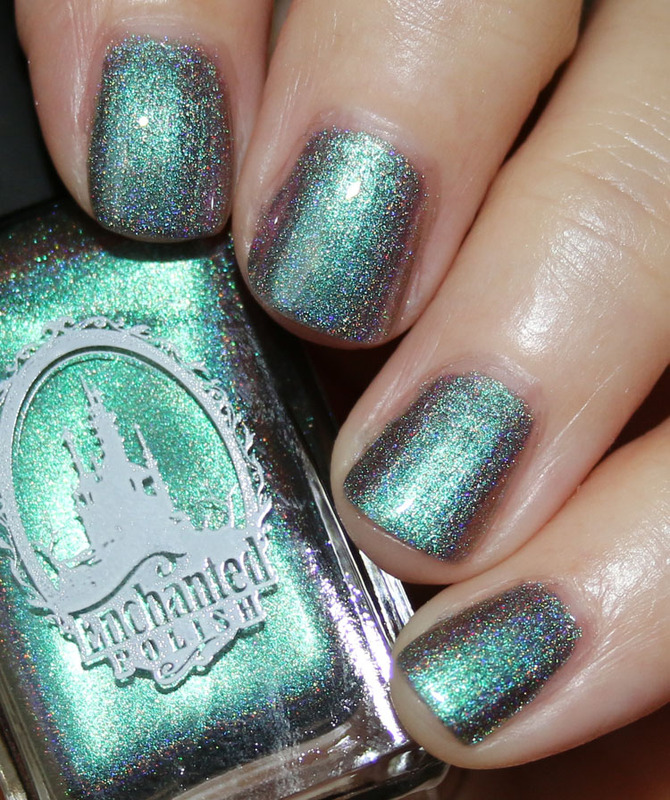 I’m going to have to check out Enchanted Polish. Nice review. Thanks! Goddamnit Kelly, there goes my paycheck!